Peanut Butter Buckeyes are perfect for any party or gift! 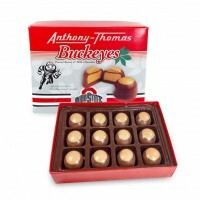 Our 12 piece box of Peanut Butter Buckeyes. Packed in our Ohio State Themed Buckeye box. 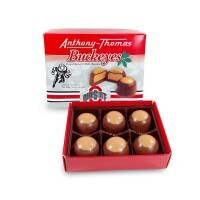 ..
Our 6 piece box of Peanut Butter Buckeyes. Packed in our Ohio State Themed Buckeye box. 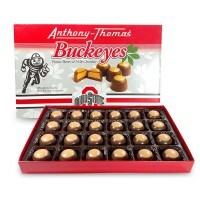 ..
Our 24 piece box of Peanut Butter Buckeyes. Packed in our Ohio State Themed Buckeye box. ..
A retro look into a modern classic. 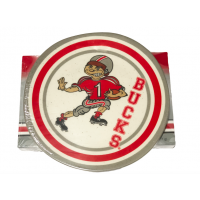 This heavy gauge melamine plate is perfect for throwback parties. Our love for OSU stretches back many years, and will only continue to grow! 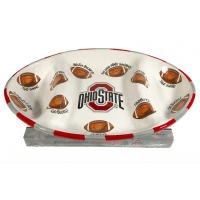 This lovely serving di..
Did someone say Buckeyes? 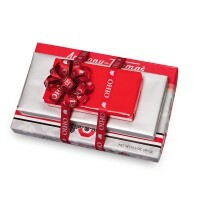 This Beautiful tin is filled with 30 of our individually-wrapped Peanut Butter Buckeyes .. 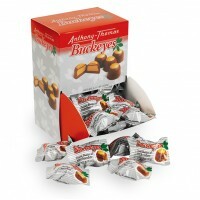 This beautiful Ohio State themed stack comes with 3 boxes of delicious Anthony-Thomas chocolates. Stack includes: 4 oz. 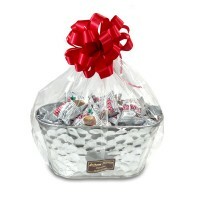 Assorted Chocolates, 7 oz. English Toffee and 14.5 oz. 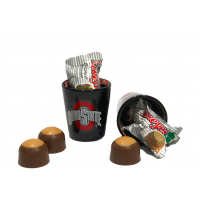 peanut butter buckeyes ..
A durable black OSU Shot Glass perfect for any football fan. A real game changer. Comes with two individually-wrapped peanut butter Buckeyes. 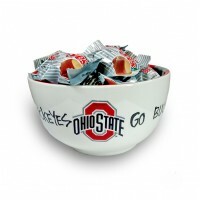 ..
OSU ceramic bowl with 10 individually-wrapped, peanut butter buckeyes..
An eye-catching, ceramic center piece that will make your gathering one to remember. This decorative platter comes with 24 peanut butter Buckeyes, ready to serve!.. 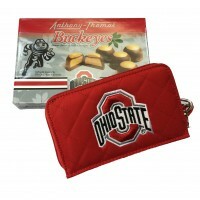 OSU Wristlet with a 7.25 ounce Box of Peanut Butter Buckeyes..